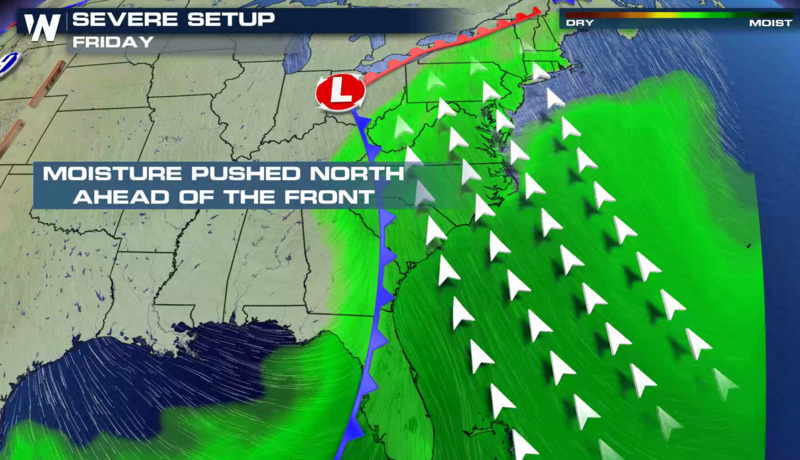 A strong storm system has been producing severe weather in the mid-section of the nation this week. 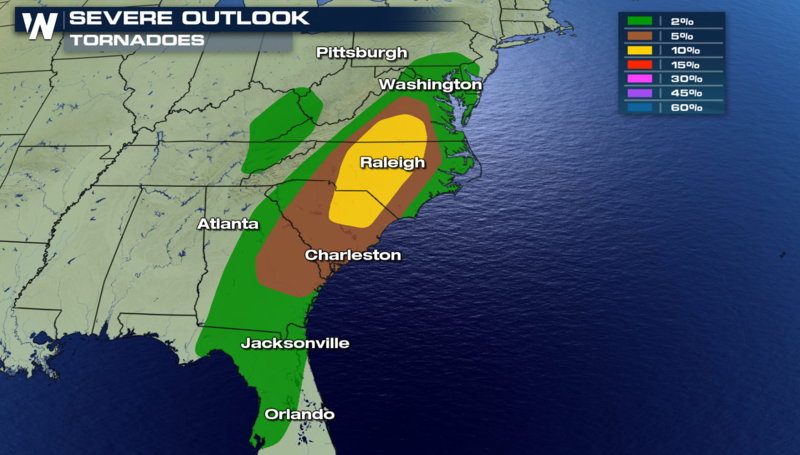 It will continue to bring a widespread threat for severe weather for the East Coast states today (Friday). 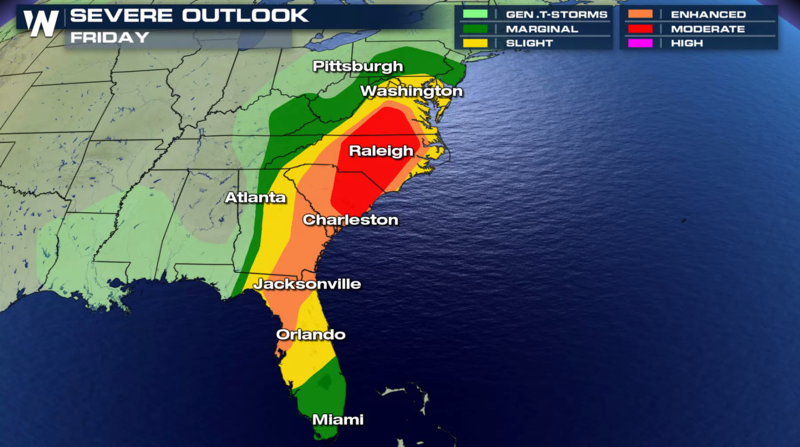 The threat for severe thunderstorms today extends from Chesapeake Bay to Lake Okeechobee. 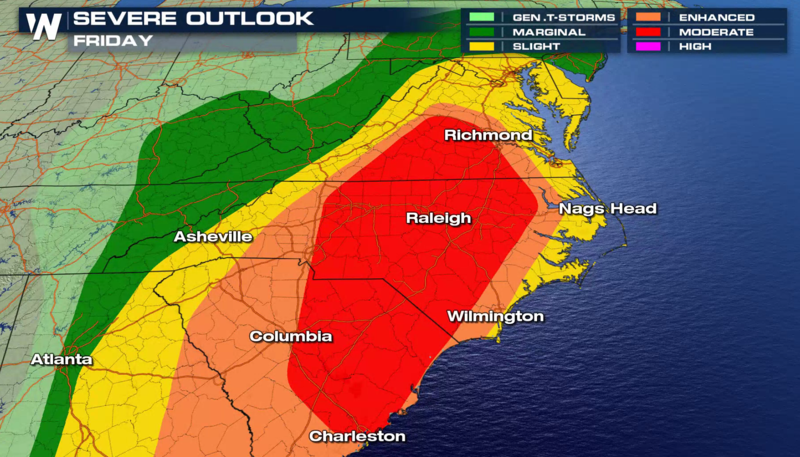 The risk is enhanced from Virginia to Georgia, with a moderate risk for severe weather from near Raleigh to Charleston. 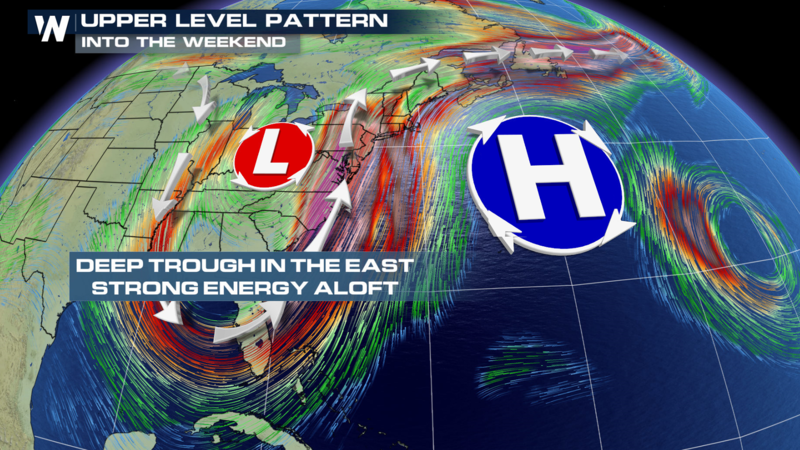 A potent Jet Stream will dig into the region, providing strong upper level support for severe storms. 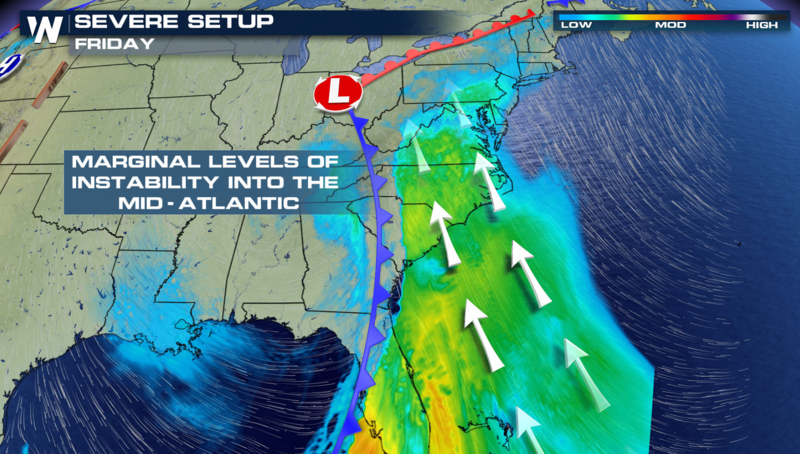 A southerly wind flow will push warmth and humidity into the region from the Gulf of Mexico and Atlantic Ocean. Increasing instability will help to create and sustain severe thunderstorm development, especially in the afternoon and evening. Wind shear will be present, with surface winds from the southeast and winds aloft turning to the southwest. 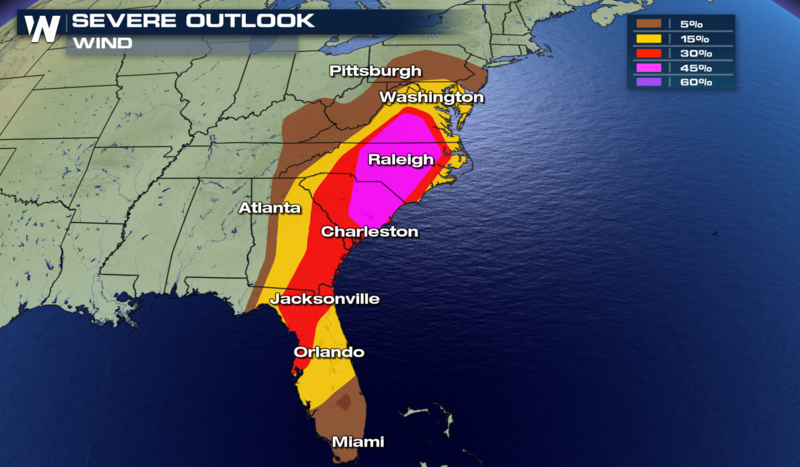 This will support severe thunderstorms, including tornadoes. 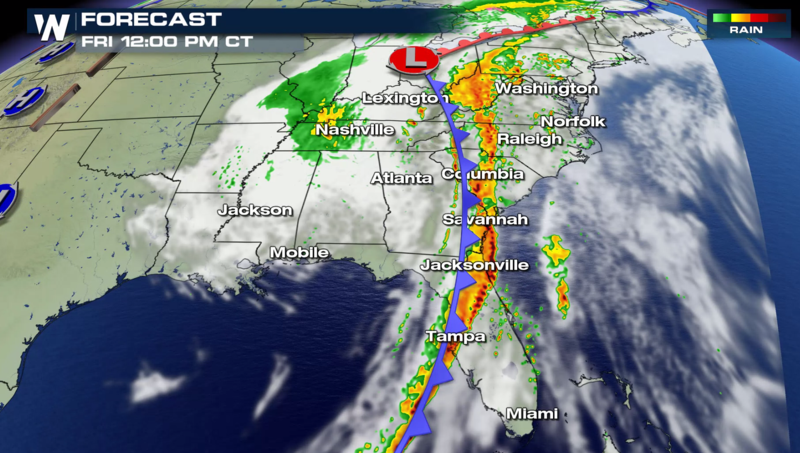 The storm system will slowly move eastward, extending from the Mason-Dixon line to the Florida Straights by evening. 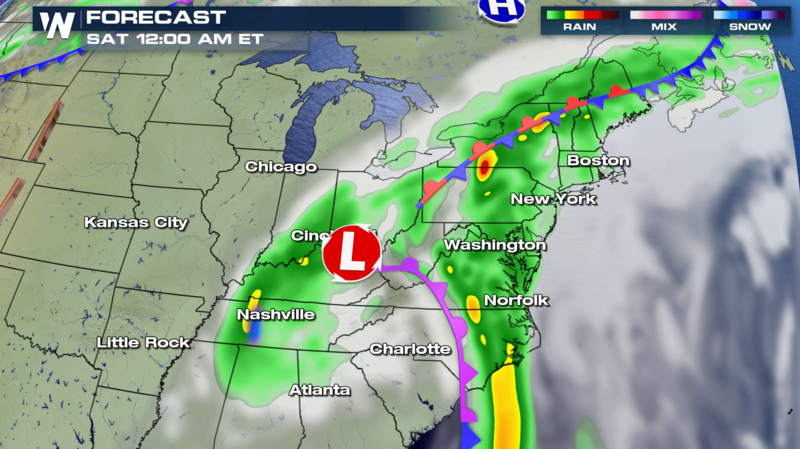 Severe thunderstorms will be possible ahead of the front, especially in the afternoon to early evening. 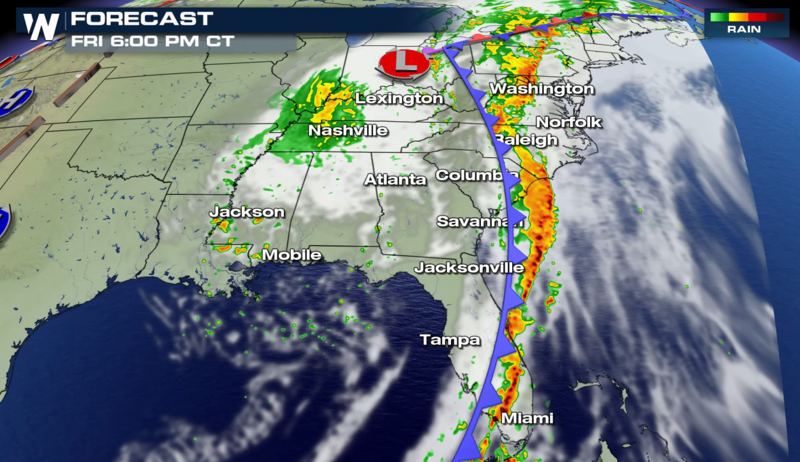 The biggest threat is damaging wind gusts ahead of the front, along with isolated tornadoes. Have a severe weather plan in place, in case you need to take shelter if threatening storms approach your area. Be sure to check back with WeatherNation on-air and online if you are in the severe weather risk areas.